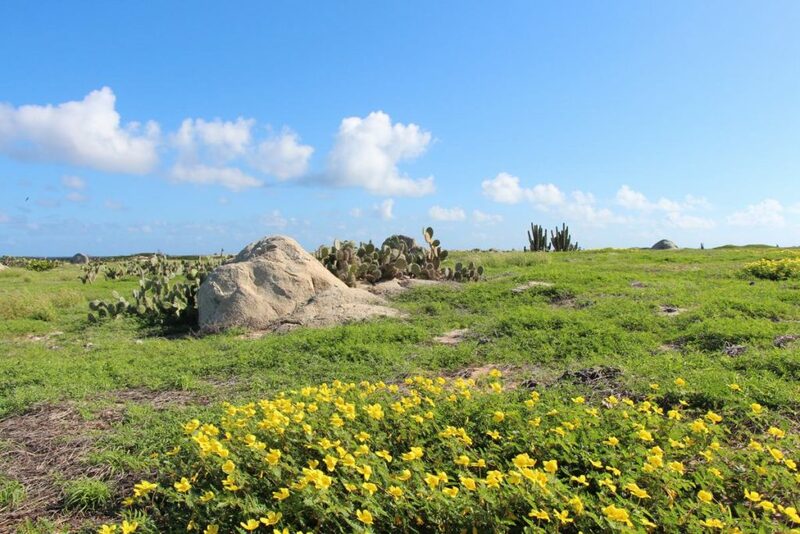 Home » Things to do » 5 Places for Pampering in Aruba! 5 Places for Pampering in Aruba! Looking for some serious R&R time after frolicking around the One Happy Island? 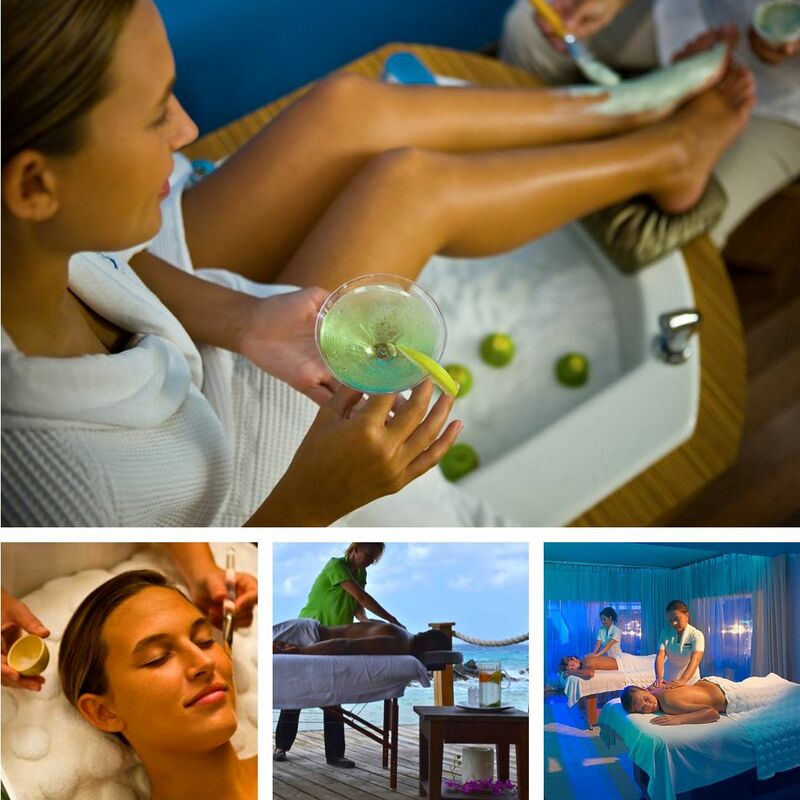 What better way to recharge for more fun in Aruba, than by having a Spa day?! A beach day in Aruba is truly delightful, don’t get me wrong…but a seaside massage paired with a mimosa (or two)? – Well, that’s the cherry on top of a relaxation sundae, if you ask me. Check out our list of 5 recommended spas and salons in Aruba below, and treat yourself! Care Specializations: Massages, Body Wraps & Scrubs, Aromatherapy, Facials, Pre & Post Natal Massages, Hair Services, Nail Services, and Waxing. 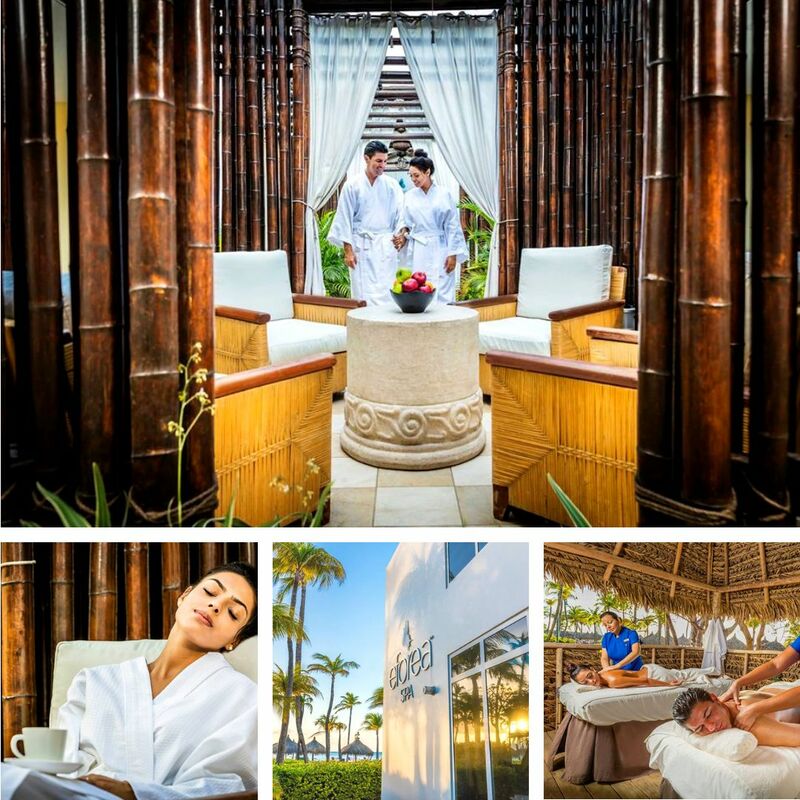 Blissful Location: EFOREA Spa is located at the Hilton Aruba Caribbean Resort & Casino in Palm Beach. Care Specializations: Hair Services, Nail Services, Make-up Services, Massages, Facial Services, Waxing, & Bridal Services. Blissful Locations: Precious Nature Salon found on main street in Oranjestad, Maggy’s Paseo Herencia – Perfumery & Salon, and Maggy’s Santa Cruz Express Salon. 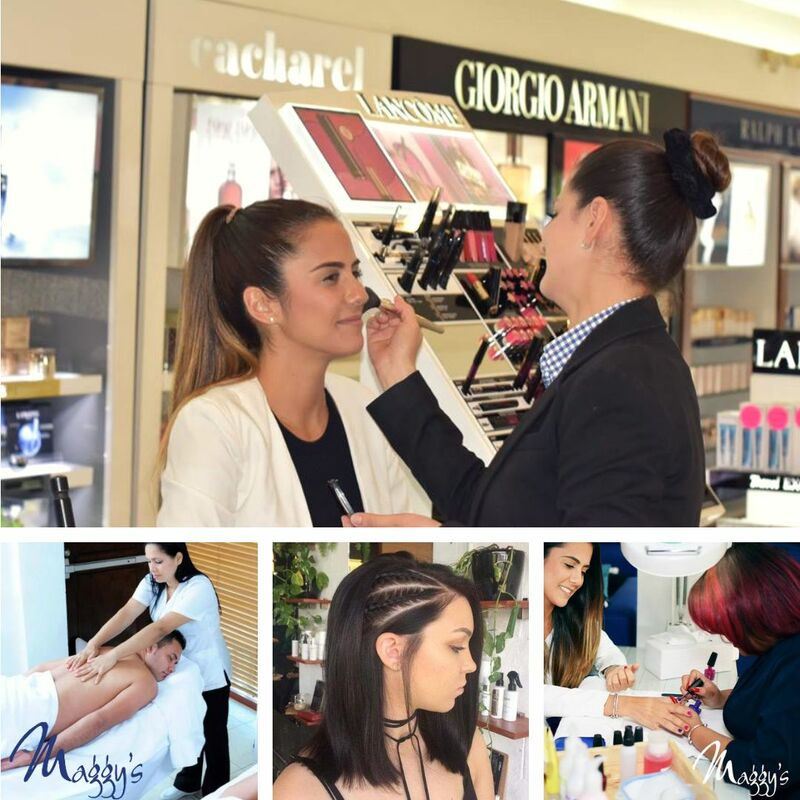 Fun Fact: Maggy’s Paseo Herencia is also home to their Duty Free Perfumes & Cosmetics boutique. Care Specializations: Facials, Body Wraps, Massages, Men’s Facials, Couples Packages, Hair Services, Make-up Services, Nail Services, and Scalp Treatments. Blissful Locations: Okeanos Spa has two spa locations. 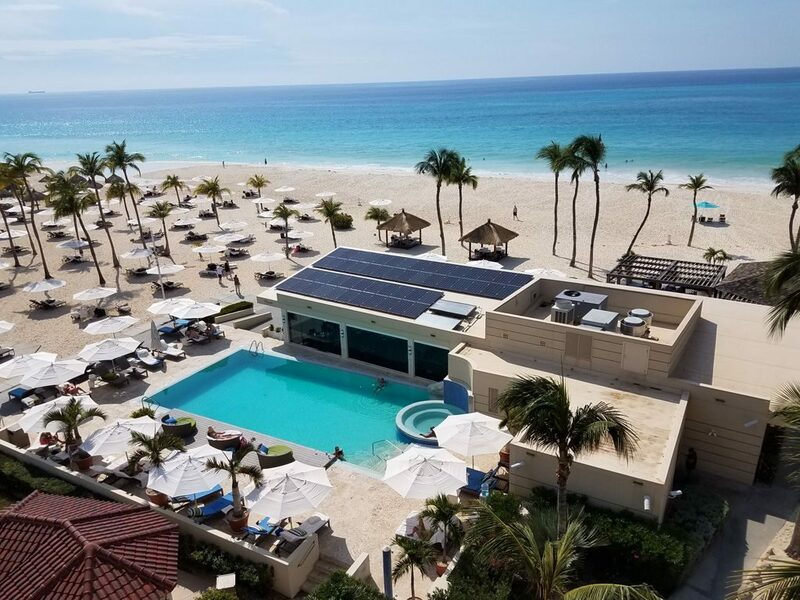 Their indoor spa is locateed at Renaissance Aruba Resort & Casino, and their seaside spa, known as Spa Cove, is located on Renaissance Island. Fun Fact: Their location on Renaissance Island is most famous for being the home to the beloved and insta-famous pink flamingos that wander around Flamingo Beach. Care Specializations: Hair Services, Make-up Services, Nail Services, Facials, Waxing, Permanent Make-up Services, and Massages. 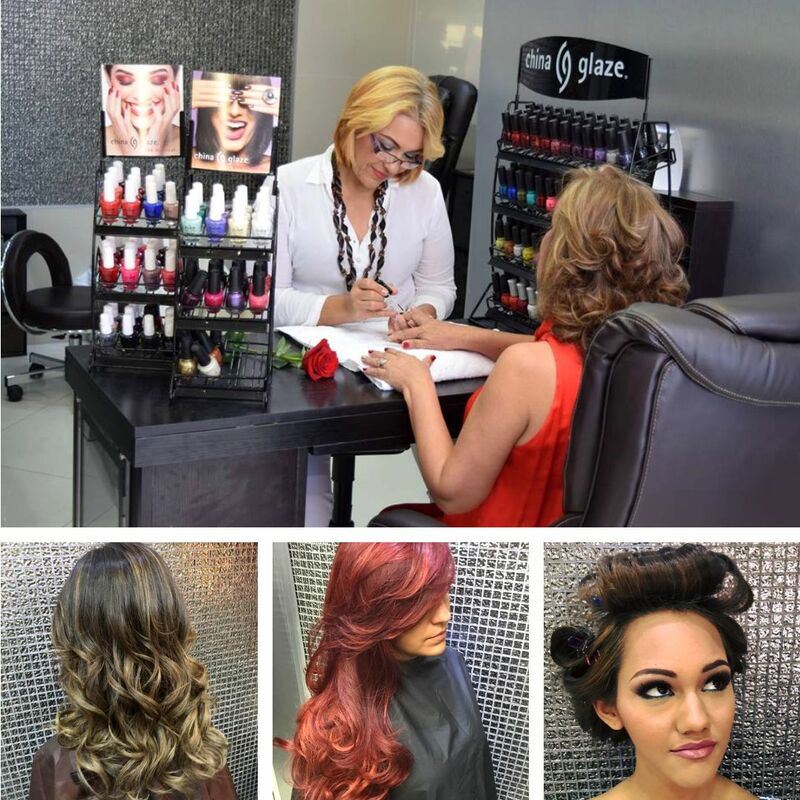 Blissful Location: The Stars Hair Studio is located in Oranjestad. Fun Fact: Miss Aruba World 2018, Nurianne Arias Helder, has shown her trust in The Stars Hair Studio when it comes to her beauty care. Care Specializations: Massages, Couple’s Packages, Luxury Baths, High Tea Spa Experience, Facials, Body Wraps, Hair Services, Make-up Services, and Nail Services. 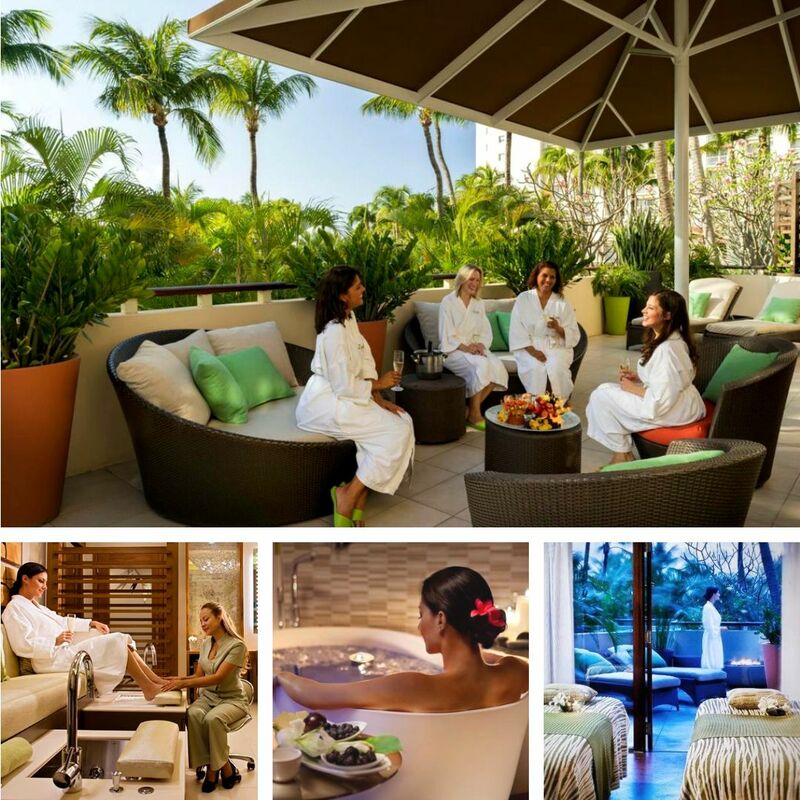 Blissful Location: ZoiA Spa is located at the Hyatt Regency Aruba Resort, Spa & Casino in Palm Beach. Fun Fact: ZoiA Spa is located near one of our recommended Sunday brunch spots in Aruba! Mentally drooling over the snaps of people being pampered? 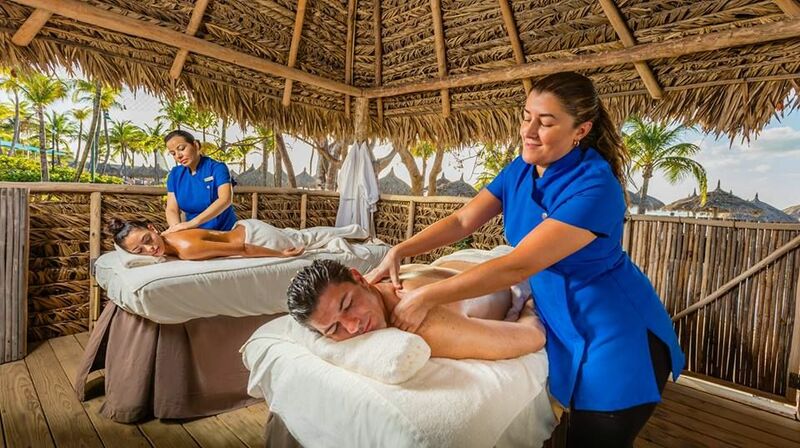 Schedule your visit to one of these dreamy spas and salons, and rest a bit easier knowing that you’ve booked a day full of bliss and relaxation in Aruba. 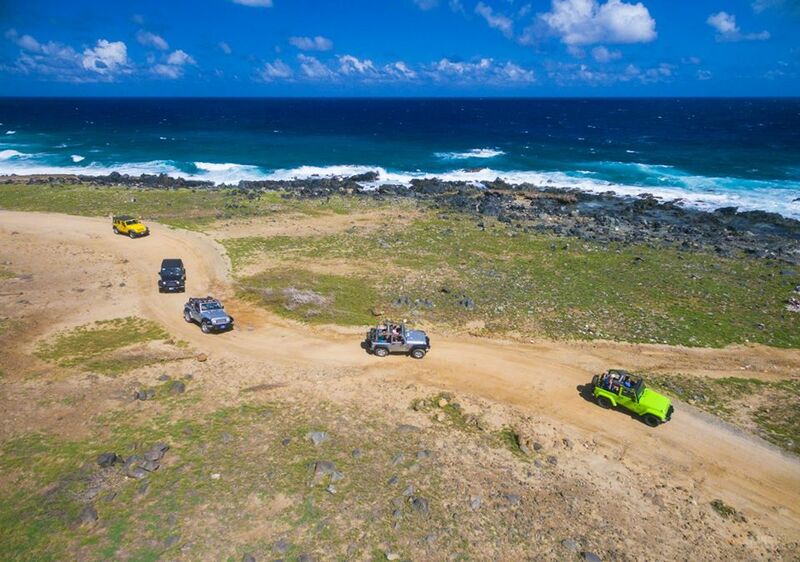 Be sure to KEEP UP WITH THE VISITARUBA BLOG, and follow us on Facebook to catch all of the Aruba lovin’ updates!